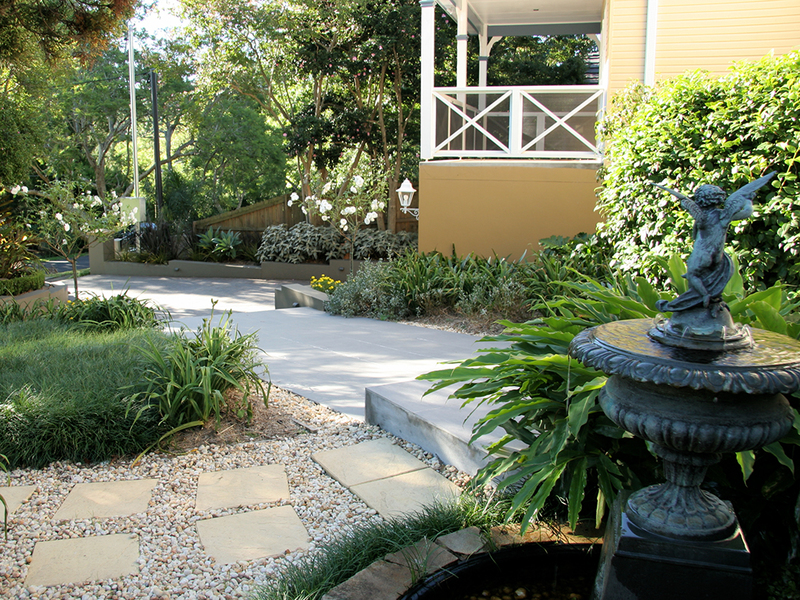 A classic garden design closely maintained and carefully managed. 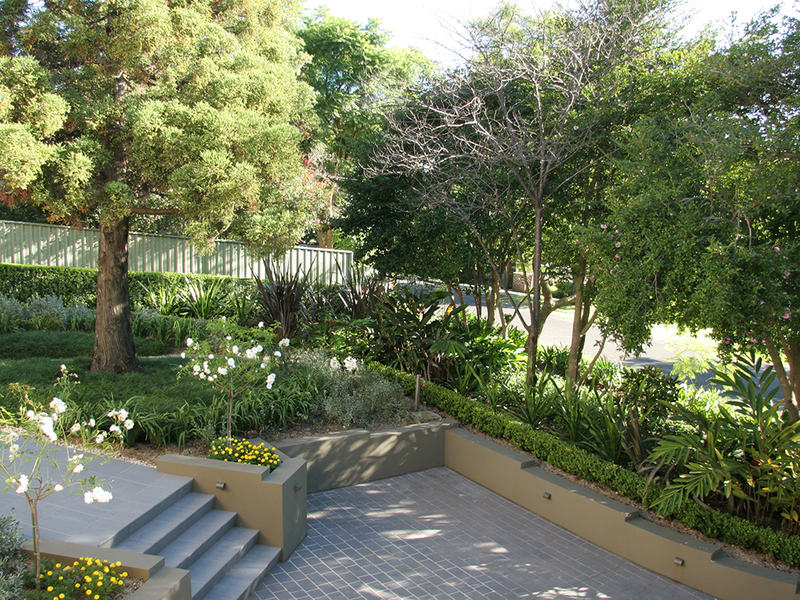 Plant sourcing and garden lighting design were crucial to this projects success. 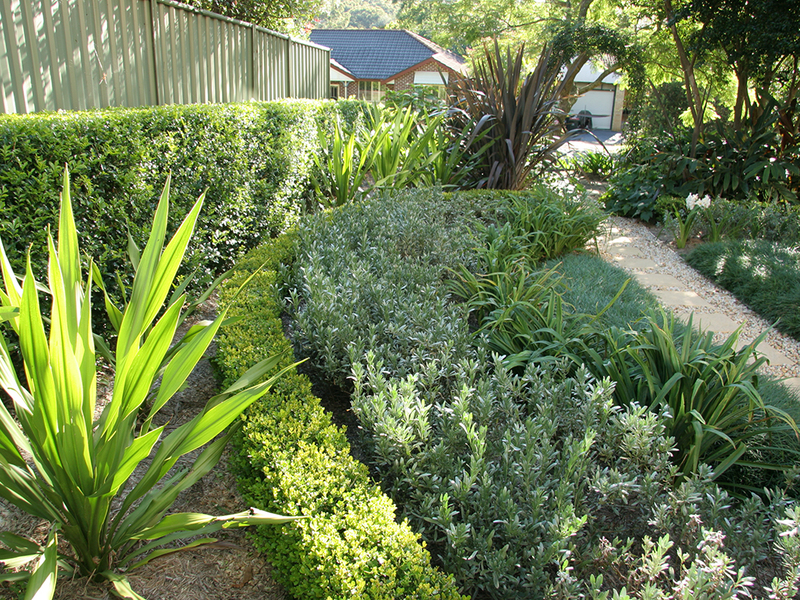 The planted circular lines in this garden are structural elements in themselves. This garden has many seasonal elements incorporated through the plantscape with bulbs such as belladonna lilies and jonquils arriving for brief visits throughout the year. 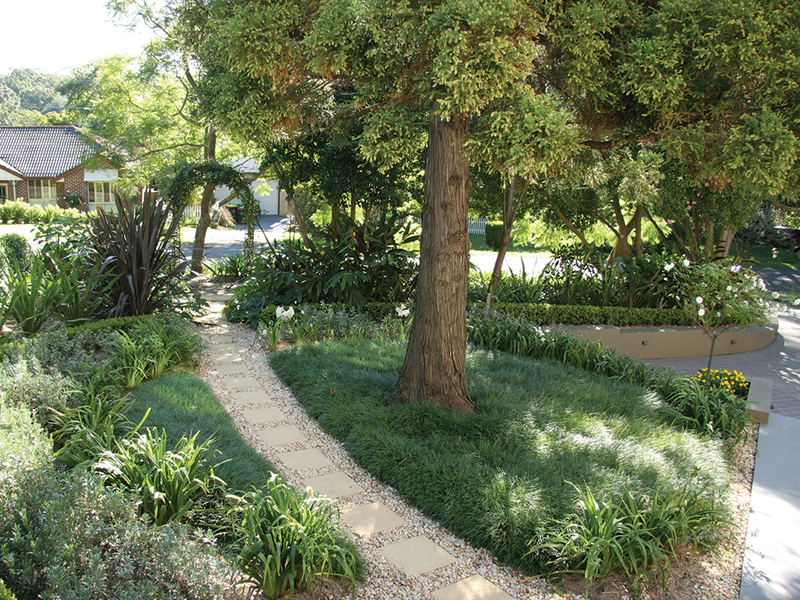 Care of and for the existing trees and shrubs were central to this front garden design and its national design award winning qualities are also testament to the owners gardening prowess.